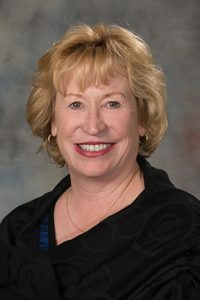 LB851, introduced by Elkhorn Sen. Lou Ann Linehan, would limit salary and benefits packages for superintendents and educational service unit administrators to five times the amount a beginning teacher would make in a given district or ESU. Linehan said the bill would reduce the imbalance between teacher and superintendent pay. She cited a 2016 School Superintendents Association study, which found that the ratio of superintendent pay to teacher pay exceeded 1 to 5 during the 2016-17 school year. Nebraska teacher compensation falls near the national median, the study found, but superintendent compensation is higher. Linehan said beginning teachers in Nebraska typically earn less than $40,000 a year, and their take-home pay is much lower after retirement contributions, taxes, insurance premiums, union dues and student loan payments. 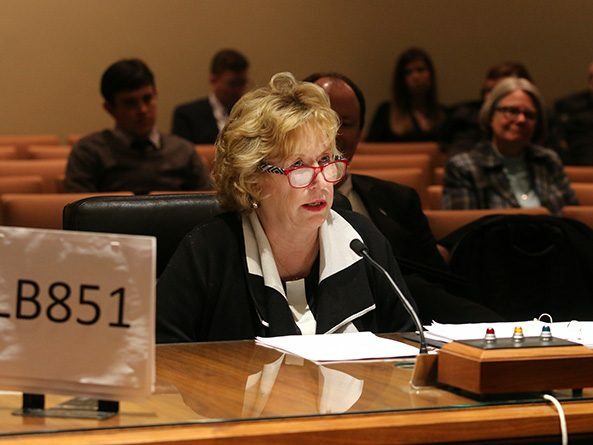 Lacey Merica, vice president of the Omaha Public Schools Board of Education, testified in opposition to the bill, saying that elected school board members are in the best position to decide appropriate superintendent compensation. The current OPS superintendent salary is approximately $295,000, compared to a starting teacher salary of $41,000, Merica said, which means OPS would have to cut superintendent pay to meet the 5 to 1 ratio proposed in LB851. Also testifying in opposition to the bill was Boone Huffman, a Chadron Public Schools Board of Education member. Huffman said the ratio of superintendent pay to beginning teacher pay in his district is closer to 1 to 4, meaning LB851 would have no immediate effect if passed. If the school board wanted to offer a higher salary to attract a new candidate, however, LB851 could prevent that. “I don’t want to be handcuffed by a bill such as this,” Huffman said. Boone said he also is concerned that the 5 to 1 ratio could act as a floor instead of a ceiling—that new superintendent candidates might demand a compensation package of five times base teacher salary as a matter of course. No one testified in favor of the bill, and the committee took no immediate action on it.